New York rapper Fabolous is back with a new video for his track "Money Talks". 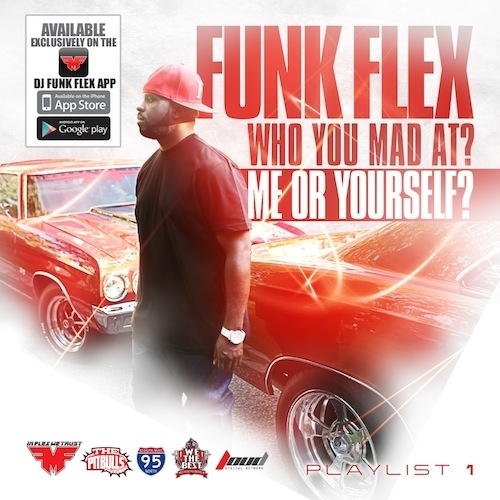 The Brooklyn born emcee, whose previous work includes the projects Street Dreams and Loso's Way, has released the visuals for his track taken from fellow NY denizen and DJ Funkmaster Flex's mixtape entitled Who You Mad At? Me Or Yourself?. "Money Talks" is done in typical Loso style, with some of the dopest lines that I've heard from Fabolous in a while, including my personal favourite "takin' pictures in my latest gold Ro' boy, my Juelz on Cam? Oh boy" (a clear reference to Juelz Santana & Cam'Ron, part of the legendary New York hip hop collective The Diplomats, and their track "Oh Boy"). The ever present AraabMuzik is on the boards on this one, using a smooth sample to give the track that soulful hip hop vibe, showing how versatile he is as a producer. Who You Mad At? Me Or Yourself? is a huge 56 track project that features the hottest rappers in the game right now, including; A$AP Ferg, Meek Mill and Joey Bada$$. Download the mixtape via link provided below. Fabolous is scheduled to drop his new album, Loso's Way 2, next month via Def Jam Records. Fabolous – "Success Is Revenge"
araabMUZIK – "Never Have To Worry"